Here are a few books I've read recently. I have a long book list that only continues to grow, so I doubt I'll ever catch up (especially in this season of life), but I do love reading when I get the chance. If you've read any good books lately, let me know! I love hearing good reviews, and I get the majority of the titles on my list from other's recommendations. 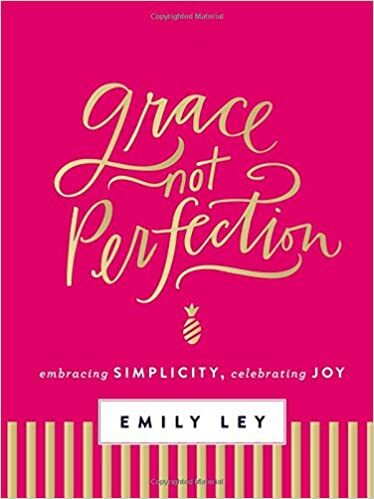 Grace, Not Perfection by Emily Ley- I was excited to read this book, because I had heard good things about it, and know many people who have loved her Simplified Planners. My MIL gave it to me, and it was a good read. The author has 3 kids (a single and then twins, just like us), and it's about offering yourself grace and talks about her journey towards balancing/simplifying/prioritizing her life, relationships, motherhood, job, pursuing dreams, etc. She offers lots of great tips and ideas for staying organized and little things to try to make your days run smoother. She has a new book out that I want to read too! 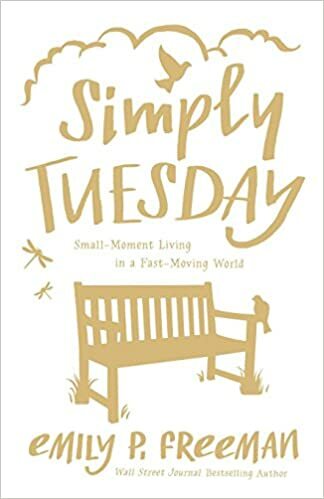 Simply Tuesdays: Small-Moment Living in a Fast-Paced World by Emily P. Freeman- I heard many good recommendations for this book also when it came out (it came out in 2015, so I'm only 3 years behind, ha), so I had been wanting to read it for awhile, and I was excited to get it for Christmas. (Just to be clear, I received this for Christmas in 2016, but it's read, people! Got it done.) It has similar tones to the previous book, in that it talks about slowing down and embracing the small moments, even though the world tells you to move faster. Ordinary moments happen in the everyday Tuesdays, and we need to slow down and embrace, like Jesus did. She talks about being more compassionate, living in the moments now where God has you, and finding contentment. 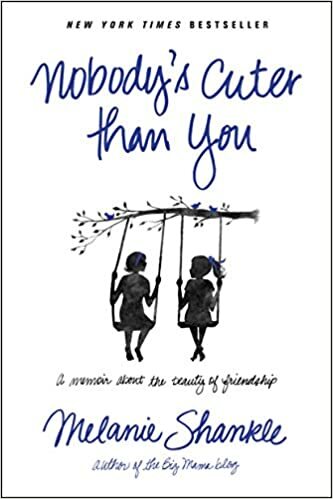 Nobody's Cuter Than You: A Memoir about the Beauty of Friendship by Melanie Shankle- I have read this book about marriage and this book about motherhood by her as well, so I think that speaks pretty well of her that I was willing to read a third! This book is about friendship. She shares a lot of memories and stories from her own personal friendships. It's an entertaining, light, funny read and she writes in a really personable style. It's a beautiful reminder of how precious and necessary true friends are! What a gift.